ROESELARE, Belgium – European cruiserweight boxing champion Yves Ngabu is nothing short of a sporting tour de force. Of his first 19 professional fights, the native Belgian won all of them – with 13 victories delivered with spectacular knockout punches. 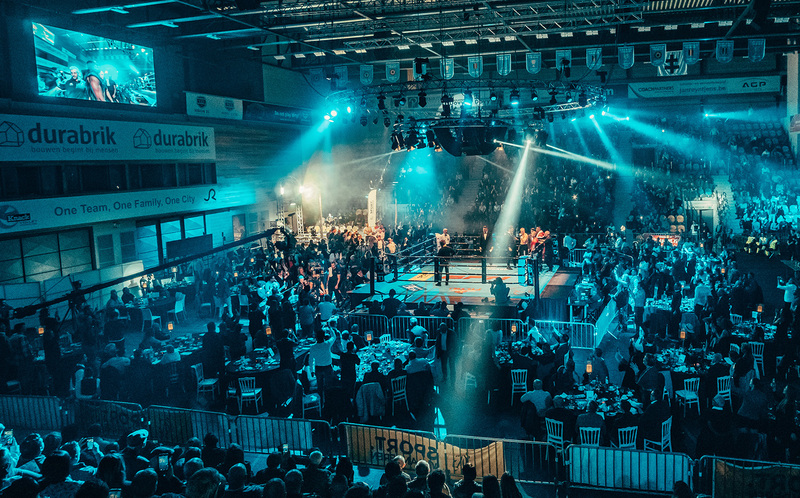 For Ngabu’s recent successful cruiserweight title defense against Danish hopeful Micki Nielsen in his hometown of Roeselare, Belgium, local rental house Solico – Event & Expo Technics was tasked with serving up a hard-hitting visual spectacle with added punch. 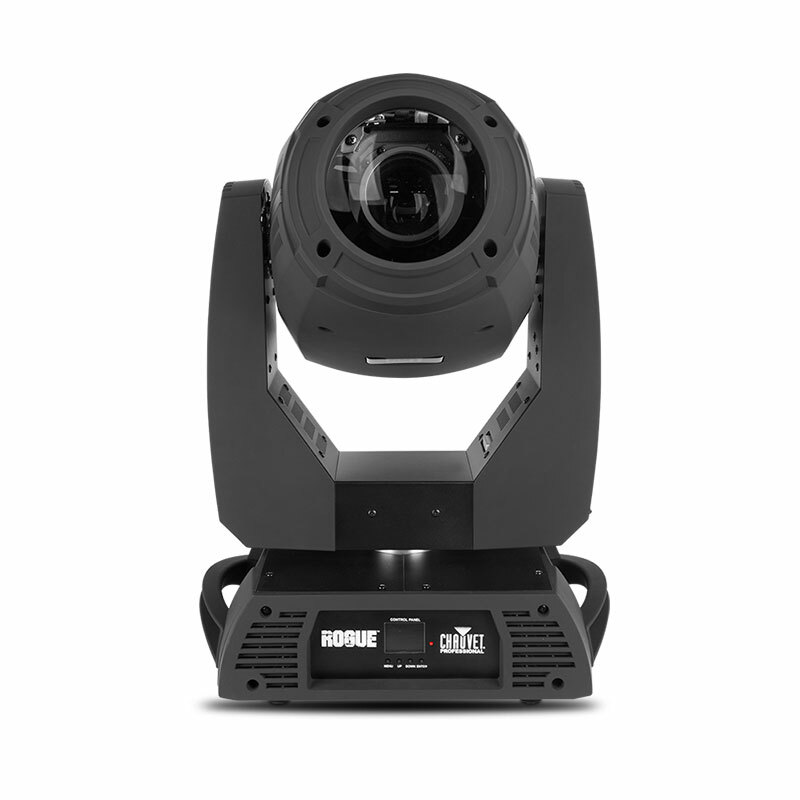 Their solution was an energetic lighting concept geared around a combination of 12 CHAUVET Professional Rogue RH1 Hybrid, 32 Rogue R2 Wash and four Rogue R1 Spot fixtures. 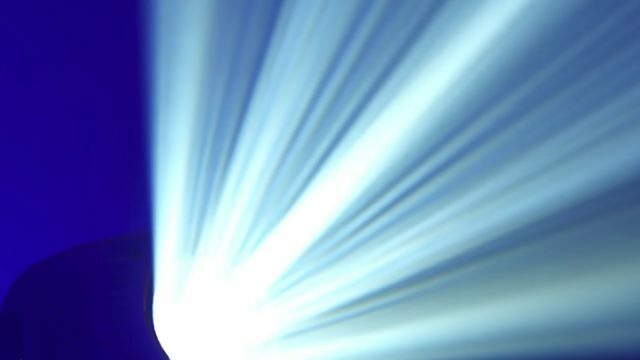 After event organizers expressed the wish to up the visual ante for the Belgian’s homecoming fight, Dieter Ducoulombier from Solico devised a lighting concept that heightened and supported the electrifying fight night atmosphere. Attached to this circular trussing element suspended 6 meters above the ring were the Rogue RH1 fixtures. 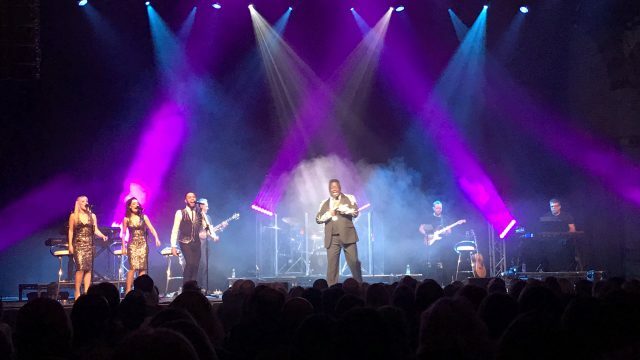 Thanks to their 330W Osram power source, the RH1 Hybrid fixtures were able to provide cutting beams of energy projected both into the ring and throughout the audience. The saturated tones of the R2 Washes, on the other hand, provided Ducoulombier and his team with the perfect sparring partner to the RH1’s precise beams. With 19 (15W) pixel mappable RGBW quad-LEDs, the Rogues succeeded in bringing a more atmospheric element within the stadium, thus adding to the theatricality of the spectacle. In true boxing style, Ducoulombier and his team were able to utilize a further four R1 Spots positioned at the entrance of the arena to provide classic lines of light to signal the entrance of the fighters.